He was born September 15, 1938, in Lewis County, a son of the late Ashby and Goldie Riley Stevens. Sammie was a member of Old Trace Community Church for over 45 years and worked as a farmer. He enjoyed going to church, working, raising cattle, going to stock sales and spending time with his family and friends, especially with his children and grandchildren. Sammie is survived by his wife of 58 years, Linda “Oma” Hall Stevens; one son and daughter-in-law, Lefty “Butch” Stevens and Becky of Emerson; two daughters and sons-in-law, Tammy Conley and Denny and Jeanie Clary and Jim, all of Emerson; seven grandchildren, AJ Conley, Nathan Conley, Nichole Conley, Ryan Conley, Samuel Stevens, Samantha Stevens and Rebecca Stevens; two great-grandchildren, Talynn Burton and Gage Conley; two brothers and two sisters-in-law, Steve Stevens and Laura and Betty Stevens, all of Emerson, and Mitchell Stevens of Vanceburg; four sisters and three brothers-in-law, Mary Bond, Zelma Roe and Bradley, and Voline Bradley and Bill, all of Olive Hill, and Shirley Roe and Mitch of Emerson. He also leaves many other family members, church family and friends who will sadly miss him. 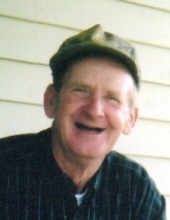 In addition to his parents, he was preceded in death by one son, Stoney Wayne Stevens; one brother, Charles L. Stevens; and a special aunt, Aunt Violet. Services will be at 2:00 p.m. Sunday, July 22, 2018, at Globe Funeral Chapel in Olive Hill with Bro. Bobby Burge, Bro. Clyde Holbrook, Bro. Jim Porter, Bro. Monroe Craig, and Bro. Ronnie Riggs officiating. Burial will follow in Stevens Family Cemetery at Emerson. Friends may visit from 4:00 p.m. until 9:00 p.m. Saturday, July 21, 2018, and after 9:00 a.m. Sunday at Globe Funeral Chapel at Olive Hill. Pallbearers will be Samuel Stevens, Nathan Conley, Denny “A.J.” Conley Jr., Ryan Conley, Steve Stevens, Jeff Roe, Brian Roe, Johnny Zornes, and Dale Clark will serve as pallbearers. Leon Riley, Lon Zornes, Carl Fannin, Bradley Roe, Bill Bradley, Grady Evans, Mike Evans, Hunter Reffitt, Terry Helderbrand, Kevin Helderbrand, Randy Helderbrand, many other nephews, friends, stock sale buddies, and church family to numerous to mention will serve as honorary pallbearers.